HGB - Tabletop Wargaming - Beta Rules, Available Now for Pre-Order! 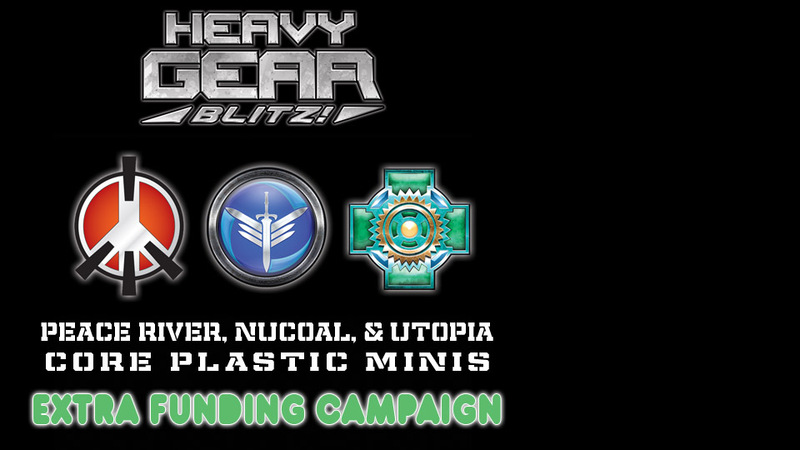 The New Heavy Gear Blitz - Tabletop Wargaming - Beta Rules are now available to Pre-Order as a small A5 format (5.83" x 8.27") 134 b&w page softcover book for $14.99 USD on the DP9 Online Store. The free full size ebook (8.5" x 11") will go live on Friday, August 8th, before we head off to Gen Con, for the official book release. The cover has a construction cone orange color scheme and wire frame artwork, to give it a work in progress feel for the Beta Rules. The back cover has rendered gears and hoppers, here is the back cover text to checkout. Read more about HGB - Tabletop Wargaming - Beta Rules, Available Now for Pre-Order! 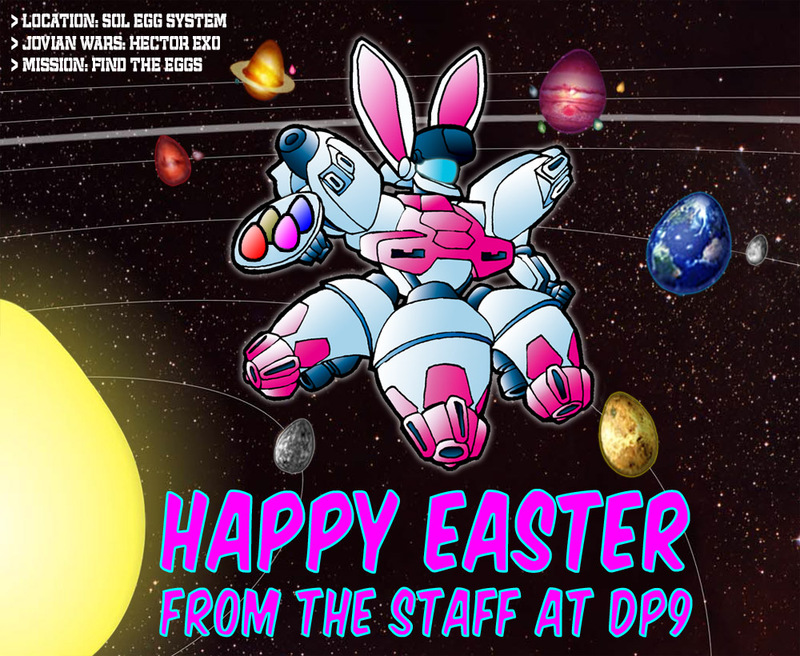 This Summer Dream Pod 9 has decided to do a special free shipping promotion on the Dream Pod 9 Online Store from now until the end of September 2014. Phil has also been busy sculpting away, checkout the new Northern Stinger, a Camel Truck with Air Burst Missile launcher. The Stinger will be released at Gen Con in August as a single pack and plus just the ABM parts will be available to order in the custom parts section of the DP9 online store for players who want to upgrade existing Camel Trucks models. Just back from a week off and time to give everyone a sneak peek at the North's new Scimitar Gear Strider. 3D sculptor, Jason Geyer, just finished up the new 3D model that will be sent off to rapid prototyping this week, for a scheduled Gen Con release date. 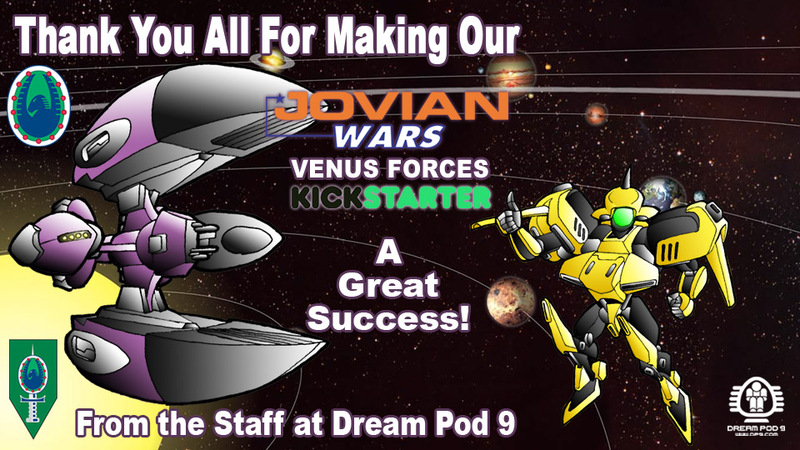 Jovian Chronicles Miniatures are available again from the Dream Pod 9 Online Store for the month of July, including the Dragonstriker Exo-Armor!